In this picture I'm only wearing one coat and as you can see this polish gives amazing coverage. The application is smooth but the formula is a little thicker than I would like. This picture is with two coats of "Haute Tub" and one coat of "Insta Dri" by Sally Hansen. Although the polish has little glitters in it, removal is very easy. 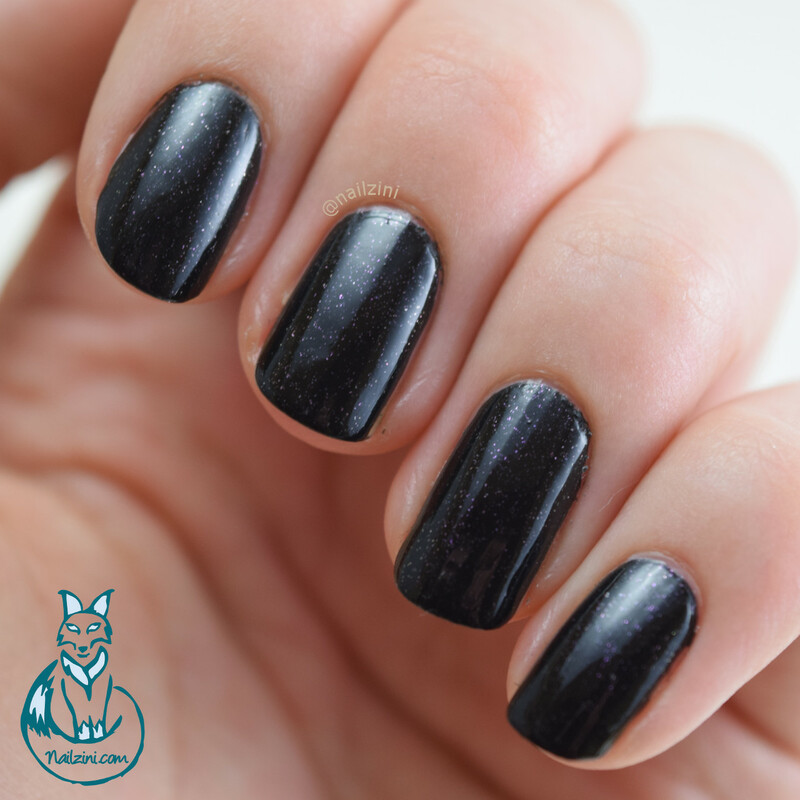 It will stain a bit like any other dark polish, so be sure to apply a base coat.